Religious sculptures are a focal point for prayer and meditation. It is believed that when prayed to with the utmost religious fervor, the figure, or its essence, grants the believer a favor, request, or a miracle. Guatemala created its own extremely expressive style through talented Guatemalan-born artists resulting in the finest Spanish-American sculpture, particularly between 1650 and 1773. These works are more expressive than those in Europe as Guatemalan artists surpassed the Spanish sculptors who had inspired them. 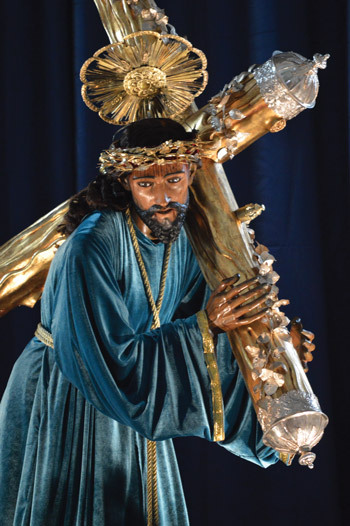 Some of the finest Guatemalan sculptors were Quirio Cataño, Alonso de la Paz and Mateo de Zuñiga, who created unique Christ figures that are still venerated today. 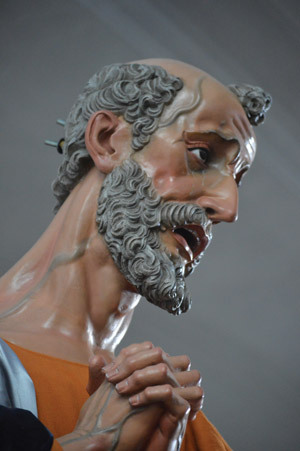 Many sculptures were created for religious processions and many others for private homes. “The art of making sculptures increased after the Council of Trent in 1565, when more importance was given to creating religious sculptures. There was great competition between the religious orders in acquiring the finest works through the 17th and 18th century. “In Guatemala, making sculptures started soon after its conquest in 1524. The first colonial sculptures were made of corn husks (tusas) and covered with a papier-mâché like material. 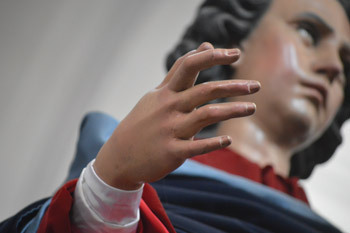 The Christ figure at San Francisco Church is an example. 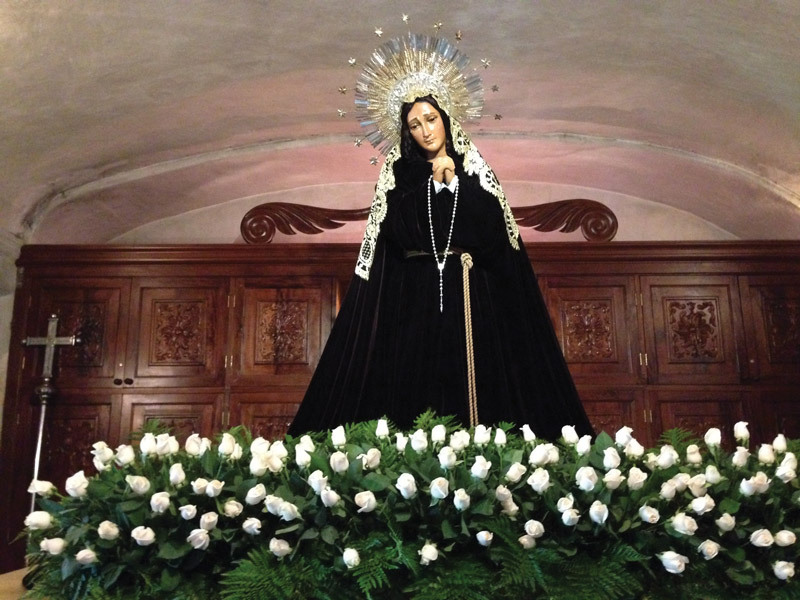 The hermandades and cofradías are in charge of these processional figures, that each have a special day to celebrate. While the art was moved from what is now La Antigua Guatemala to Guatemala City in 1774, sculptures were acquired by the churches when processions began in Antigua after 1808. 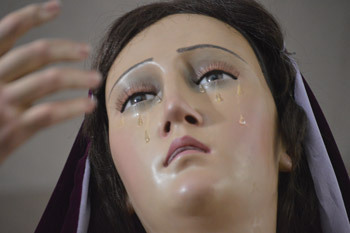 Some of the finest examples today are the Jesus Nazareno at La Merced, Cristo Cruxificado at San José Catedral, and Cristo del Perdon at San Francisco. The Virgen de la Concepción at San José Catedral (Dec. 8 celebrations) and the Virgen de Dolores with crystal tears (Good Friday procession) at Escuela de Cristo remain my favorites, as they are particularly expressive. This entry was posted in Blog and tagged Bed and Breakfast, Best price, Casa Linda, colonial house, Hotels in la Antigua. Bookmark the permalink.